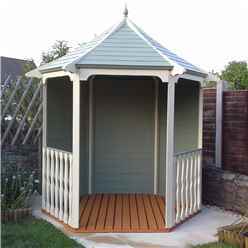 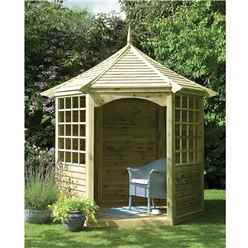 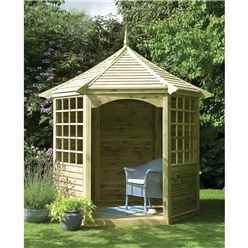 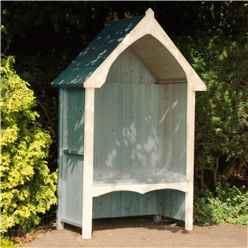 At ILikeSheds we offer a wide variety of products, one of them being our large selection of arbours. 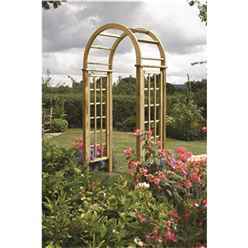 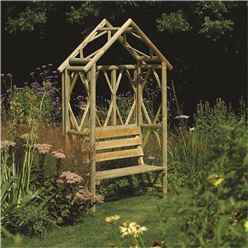 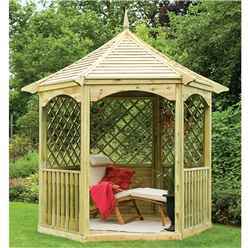 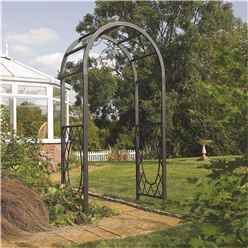 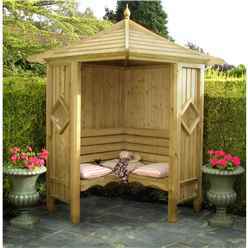 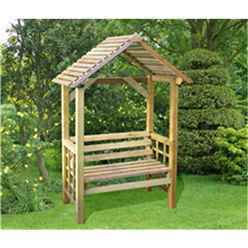 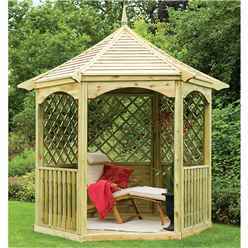 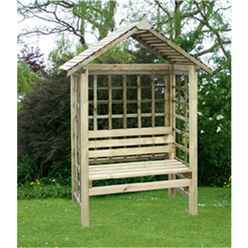 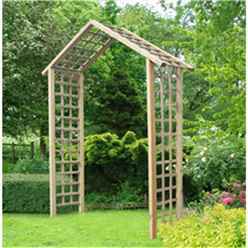 Our arbours range in price, size, style and construction material; this provides you with a lot of choice so that you are able to choose the ideal arbour for your outdoor area. 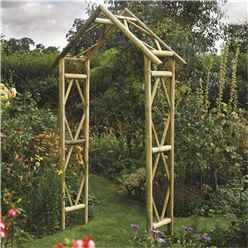 The arbours are available in a different construction materials, such as, timber and steel. 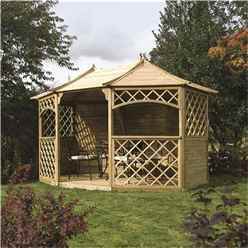 Within our range of arbours, we have various shapes in which you can purchase such as hexagonal, octagonal and even arbours that fit perfectly into the corner of your garden – perfect for unused space which isn’t quite big enough for anything else. 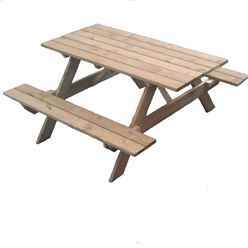 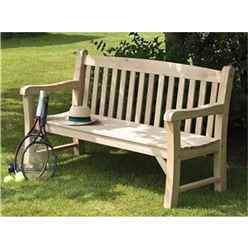 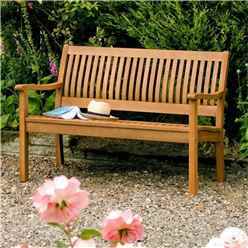 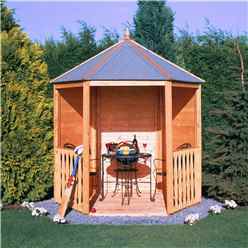 Within our collection of arbours we have a few that include additional features like a seating area, roofs and even BBQ stands. 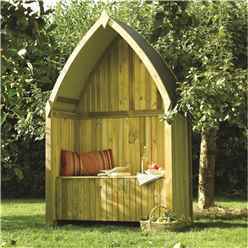 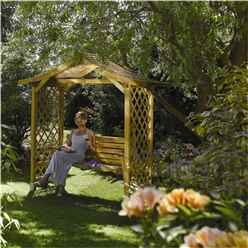 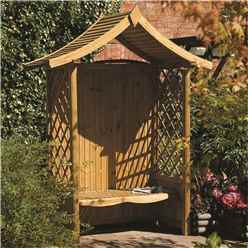 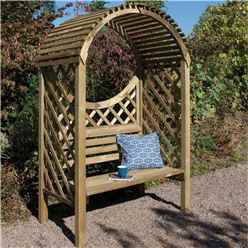 An arbour is the perfect addition to any outdoor area; it will provide you with a place to sit and relax during the day and throughout the evenings. 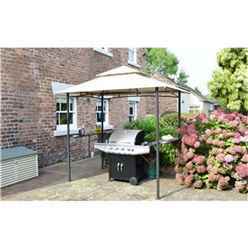 Our BBQ Party Arbours are an ideal product to have in your provided outdoor area; this is particularly handy for when you are entertaining friends and family. 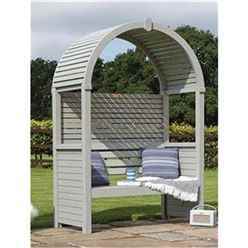 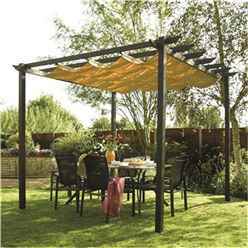 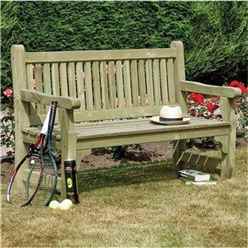 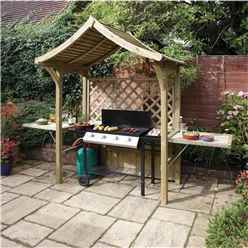 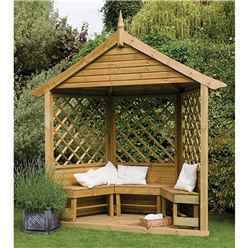 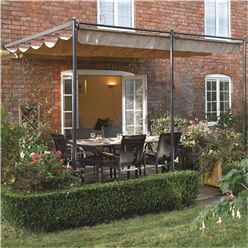 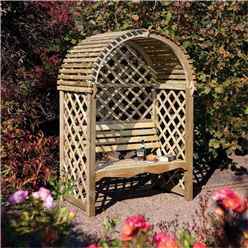 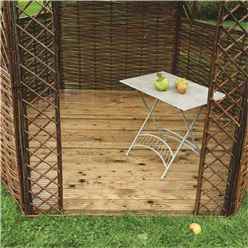 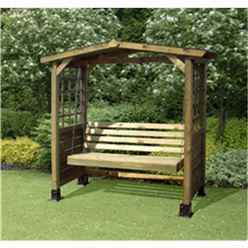 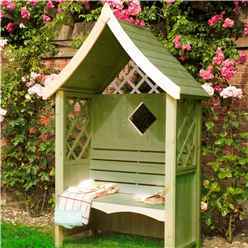 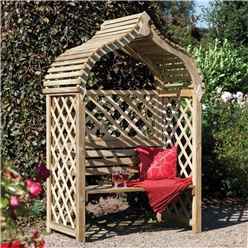 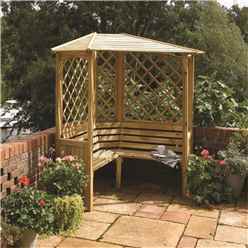 However, it can still be turned into a regular arbour with a seated and covered area when you are not using it as stands for your BBQ. 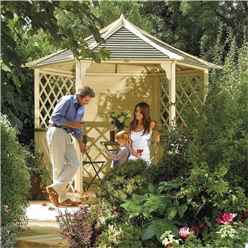 We offer our customers a variety of arbours to choose from, and they all have different characteristics; this is so that we are able to cater to every customer requests without you having to look further than our website and you are able to search this from the comfort of your own home. 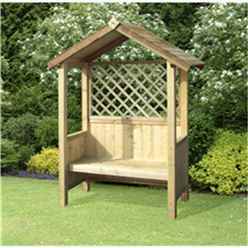 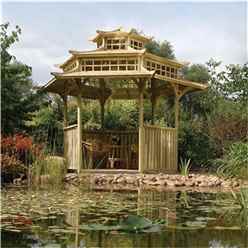 We have a range of arbours which have roofs and a seating area, but we also have some which are purely to add an attractive feature into your garden, making it unique and personal to you. 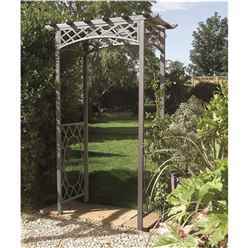 We have made it very simple for our customers to search around our website so that it helps you find the perfect product, we have done this by adding a specific tab for arbours which leads you further into a price ascending list of all our arbours (starting at the cheapest and leading to the most expensive). 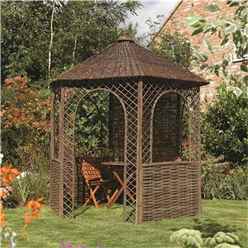 Our website has been designed in a helpful and hassle free manor, this so that people who have a capped limit on which they would like to spend on the product, are able to scroll through the page and not search through unnecessary products which are at no interest to themselves. 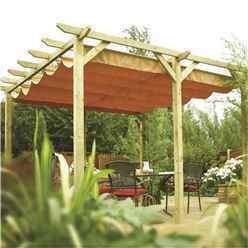 We understand looking for a product you have pictured in your head can be very frustrating when you have to scroll through endless products, which is why we try and lay our website out as simple as possible. 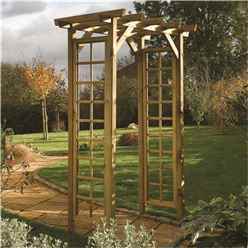 If you are unsure about any of the arbours you have seen from our website, please contact our sales team and they will be more than happy to answer any questions or queries you may have. 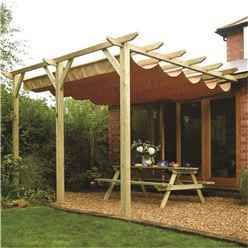 Our team are available to contact via phone or email, and they will help you to find you the best suited product for any of your requirements.